I love my dogs. You can see from previous posts that I adore them!! One thing I don’t care for is their dog hair. I have two short-haired bull breeds – An Olde English Bulldog named Roly and a French Bulldog Puppy named Stitch. They malt A LOT! Which means my hoover gets a work out twice a day! I hate when my dogs brush by me and my clothes are suddenly covered in their loose hair! It’s particularly bad when their coat changes from Summer to Winter and vice versa! I’ve been trying out some of the Mikki Pet grooming products over the past few weeks to see if that helped. I have never used a ‘de-shedding’ tool before. If I’m honest I just have no idea how to use one. You hear so many horror stories about these kind of tools damaging the actual coat I have never wanted to delve into that. After reading about the Moult Master from Mikki Pet I was really excited to give it ago. It doesn’t damage the actual pet coat and is simple and easy to use. The tool itself is good quality but light weight which made handling easy. Both dogs actually enjoyed being groomed with the Moult Master so that was a huge plus!! I actually found the tool really effective and I didn’t realise quite how much loose fur there was! There is no surprise my clothes were always covered!!!! 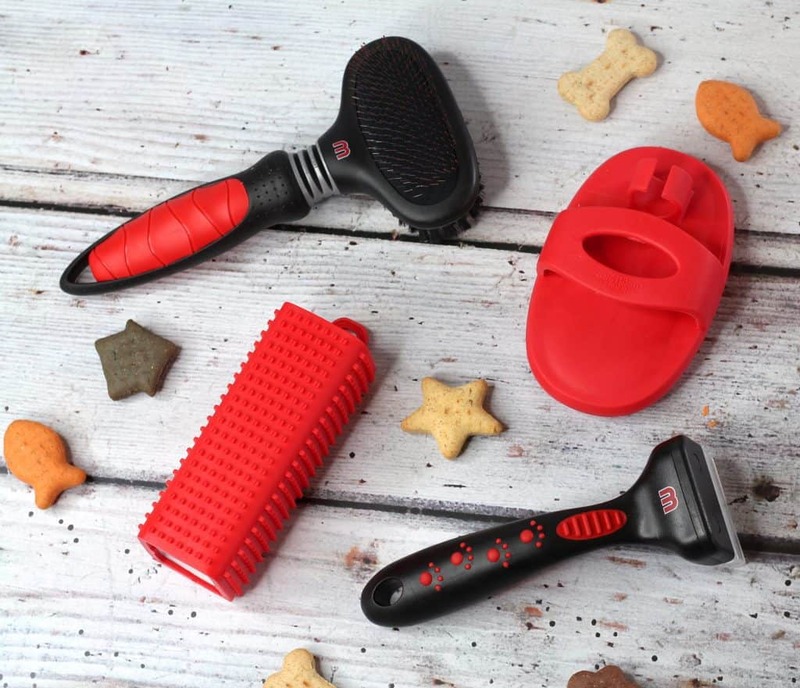 The Dual Slicker Brush from Mikki Pet also removes loose fur but also helps stimulate the natural oils to promote a natural coat. Again both dogs loved the attention the got from being brushed and the brush was really effective at removing loose fur. Their coats both looked lovely after they had been brushed too! 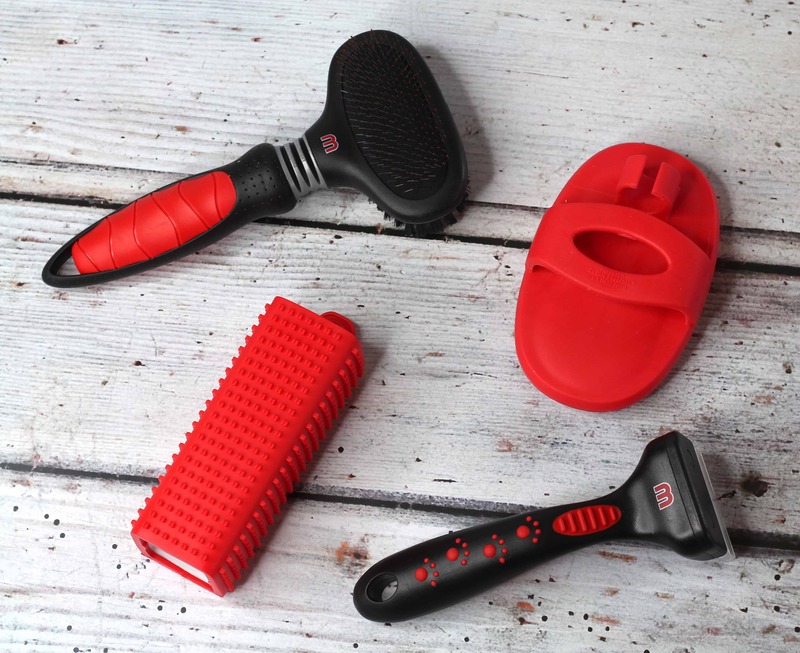 The brush has a flexible head which is really useful when it comes to them moving around or worrying you might be adding too much pressure and made the whole experience much more comfortable. 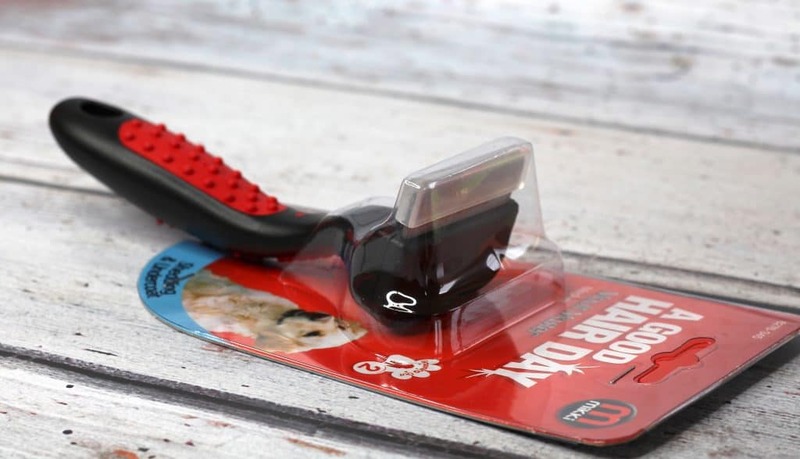 The Pet Hair Magnet is one of the best inventions by Mikki Pet in my opinion! It removes pet hair from clothes and furniture and is perfect for those moments when you have guests coming over or before you head out of the door!! I find that dog hair gets trapped in the fabric of my sofa, car and on my clothes. I have used every contraption going to remove it and it’s a frustrating process. A quick brush with the Pet Hair Magnet and the hair and dust is easily removed! I haven’t heard of Mikki Pet grooming products before but I was hugely impressed by the quality and ease of use of every item I used. Everything has been designed for comfort and simplicity for both pet and owner. After using the products for the past few weeks I have noticed a huge difference in both dogs coats. I think that grooming is a great bonding exercise and since regularly grooming them the amount of loose hair has hugely decreased. 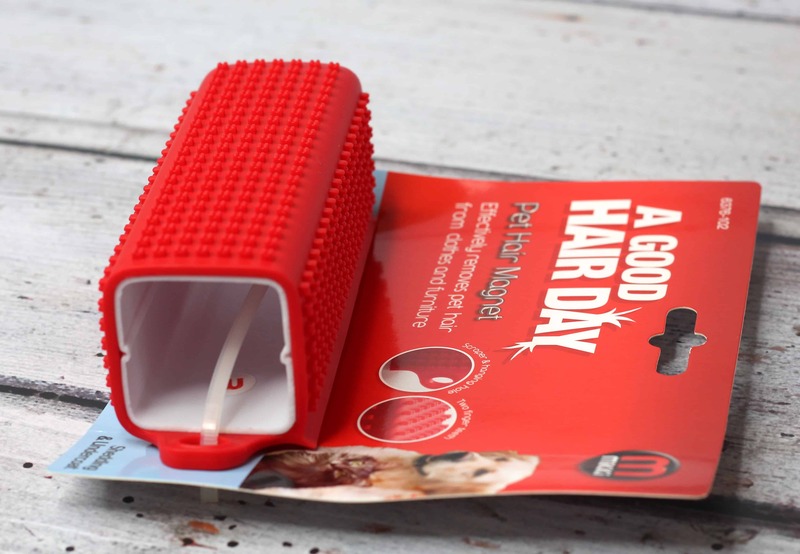 For the occasions when there is still loose hair the Pet Hair Magnet is fantastic at making removing the hair from clothes and furniture easy! For more information on Mikki Pet products and to view the full range head over to their website here. 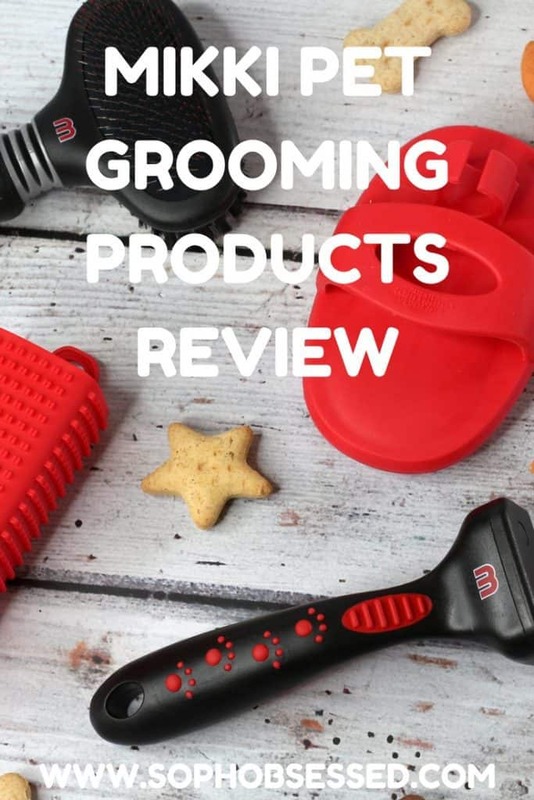 *I was sent the Mikki Pet grooming products on a gifting basis in return for an honest review. As always all words, opinions and views are my own. This post may contain affiliate links for more information on any of this please head over to this page.